Case of Serebrennikov’s ex-accountant returned to prosecutors | Russian Legal Information Agency (RAPSI). 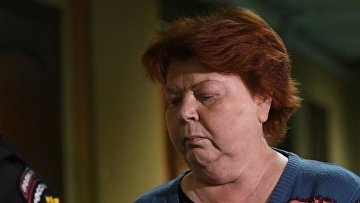 MOSCOW, April 11 (RAPSI) – Moscow’s Meshchansky District Court on Thursday ruled to return a case against ex-chief accountant of Seventh Studio stage company Nina Maslyayeva charged with embezzlement allegedly committed along with the Gogol Center theater director Kirill Serebrennikov to prosecutors, RAPSI reported from the courtroom. The court held that the indictment did not detail Maslyayeva’s role in the crime she was charged with. Prosecutors were therefore ordered to rectify the violation. Maslyayeva pleaded guilty in full. She confirmed that she was involved in monthly embezzlement and cash out of money at the direction of Serebrennikov, ex-Seventh Studio head Yury Itin and other defendants.